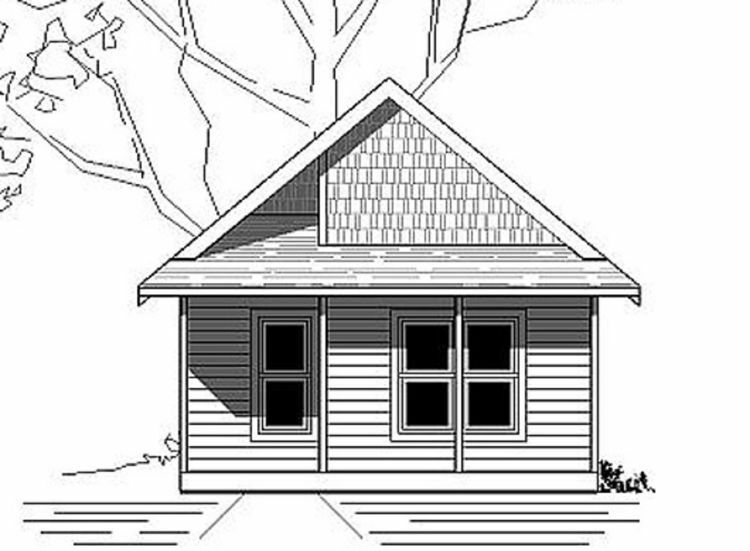 The idea of fitting your entire family into a tiny home might be intimidating, but it doesn't have to be! Sharing a small space with your loved ones can be difficult, but it's much easier when the home in question has two bedrooms. 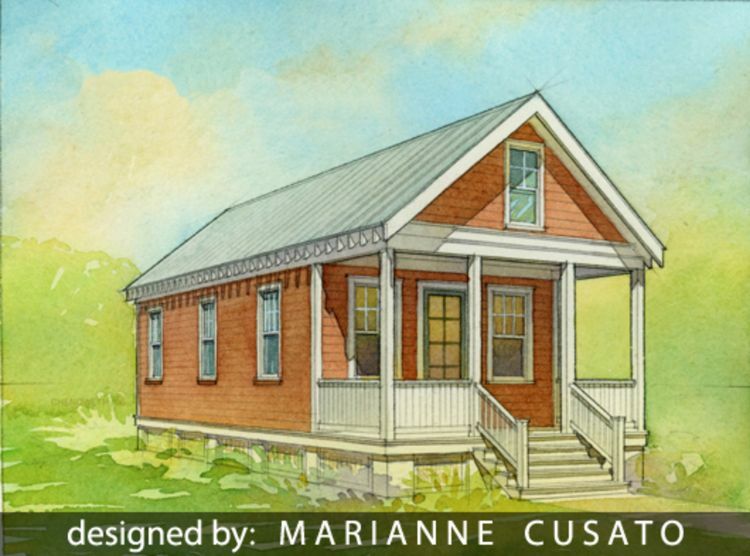 These tiny homes are on the smaller end of the spectrum, coming in at 550 square feet or less, but they all have two bedrooms. 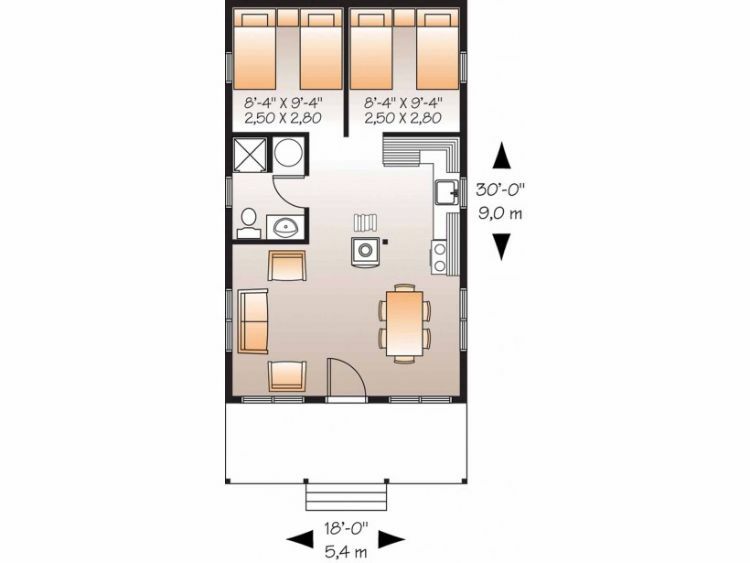 Take a look through the floor plans below, and let us know which was your favorite in the comments! 1. Modern design from Houseplans. Coming in at 543 square feet (50 square meters), this design from Houseplans features floor-to-ceiling windows on the front of the house. To take advantage of all the natural light, the eat-in kitchen and living room are found in the front section of the home. Behind this area, a small hallway leads to two bedrooms and a bathroom with a shower. Both bedrooms have closets. 2. Charming country retreat from Architectural Designs. Despite measuring 440 square feet (41 square meters), this home from Architectural Designs is the only one on the list with two floors. 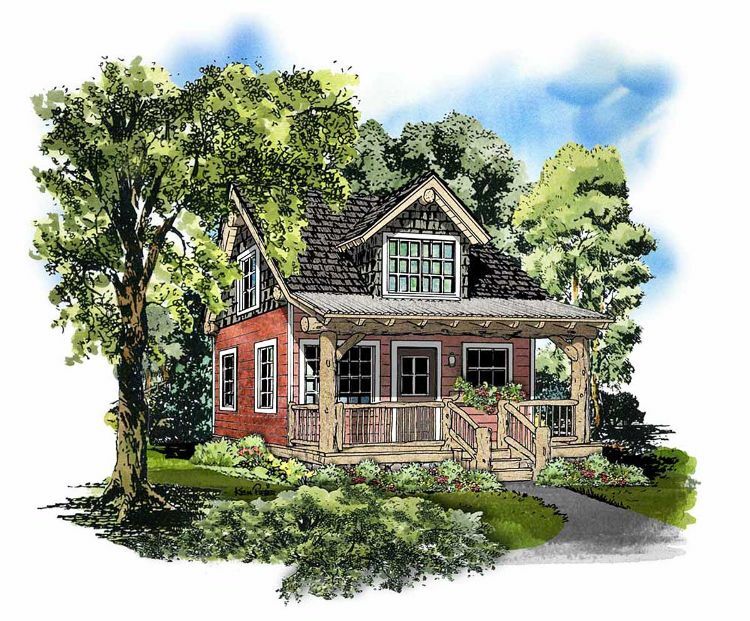 A spacious front porch provides plenty of outdoor living space, and the front part of the home is taken up by an open concept living room and L-shaped kitchen. 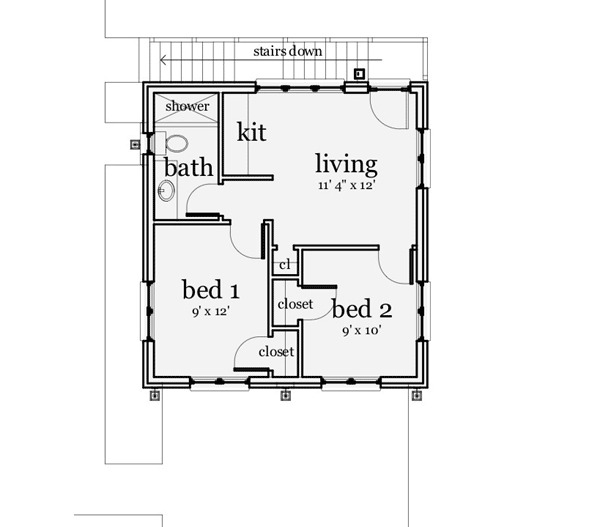 A bathroom with a shower is located behind the kitchen, and the master bedroom is behind the living room. A ladder leads to a loft bedroom upstairs. This is also where the furnace and water heater are found. 3. 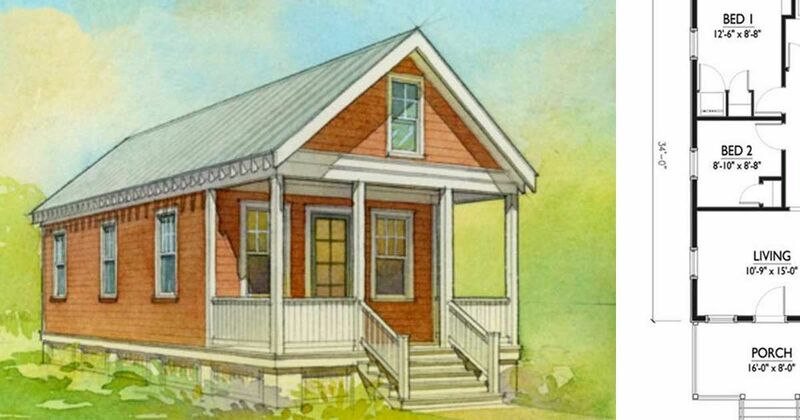 Narrow, efficient cottage from Houseplans. 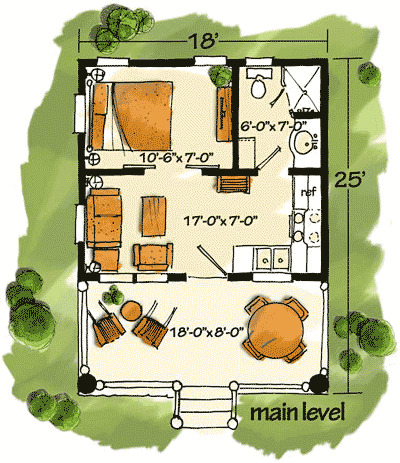 This design from Houseplans measures 544 square feet (51 square meters), and even has room for a bathroom with a tub! The front of the narrow home is taken up with the living room, and directly behind this is a narrow kitchen not much larger than a hallway. The two bedrooms are located off this space, and the bathroom is found at the end of the hall. A second door on the side of the home provides easy access to the kitchen, bathroom, and bedrooms. 4. 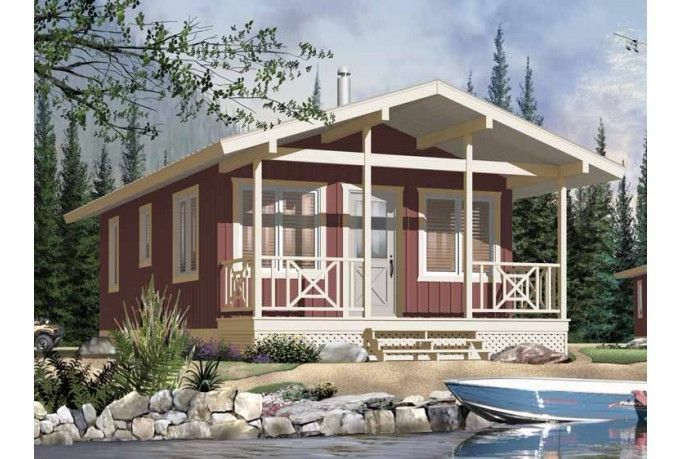 Comfortable country cottage from ePlans. 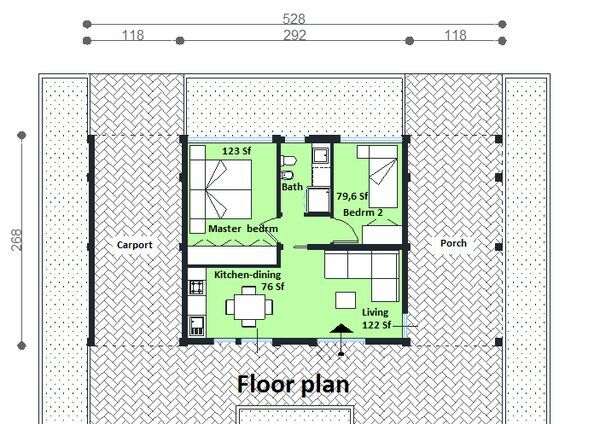 At 540 square feet (50 square meters), this design from ePlans includes everything a family would need to live comfortably. Step up onto the small front deck, pass through the front door, and find yourself right in the open concept living/dining room and kitchen. A cozy fireplace is found in the center of this room, and a bathroom with a shower is located just off to the left. Both bedrooms can be found at the back of the home. 5. 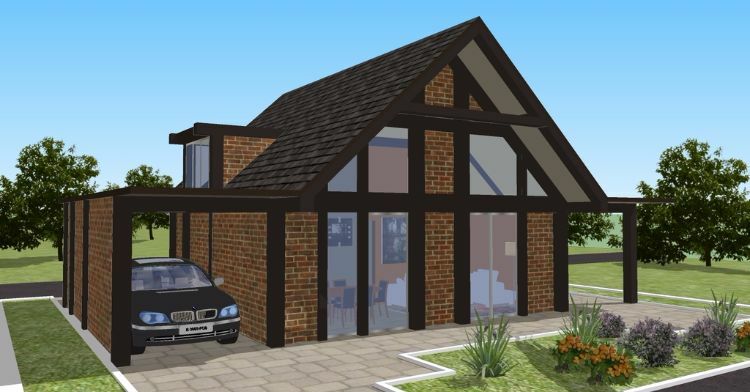 Compact carriage home from Architectural Designs. 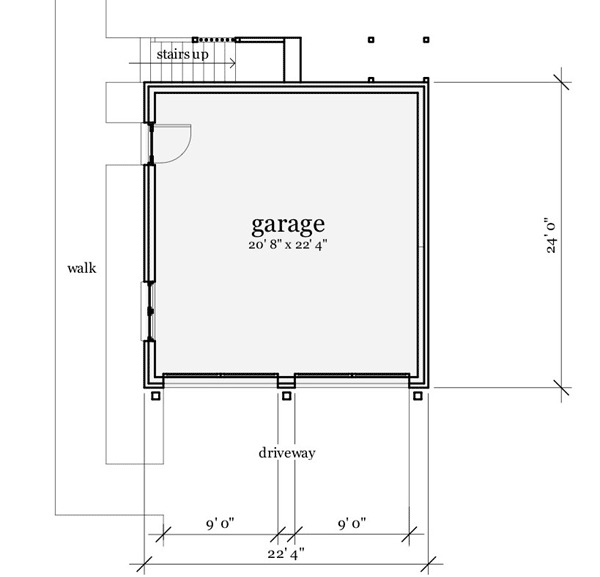 Measuring 505 square feet (47 square meters), this home seen on Architectural Designs is conveniently located over a double garage. An exterior stairway leads straight into the living room, off of which is a small kitchenette. 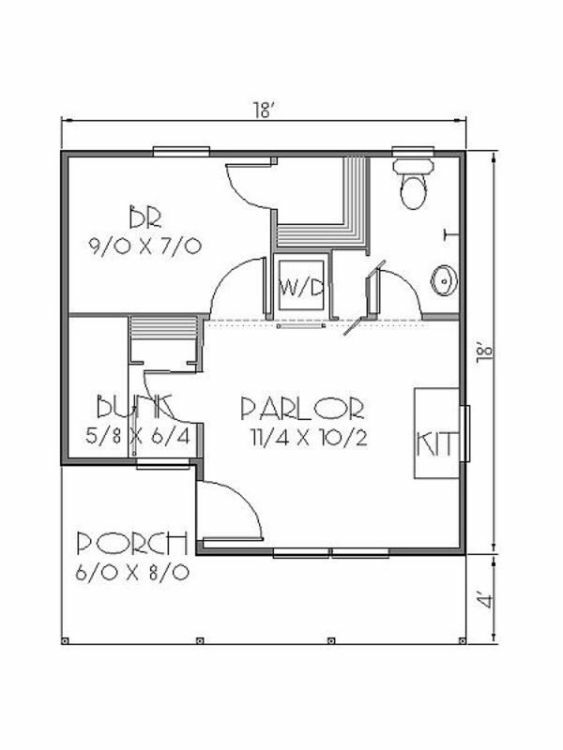 No space is wasted by a hallway; instead, two bedrooms and a bathroom are found right off the main living area. 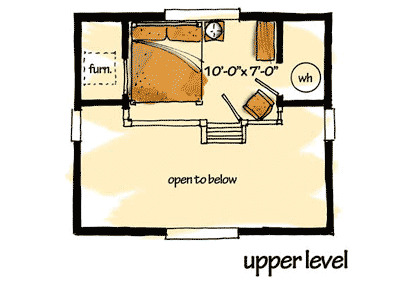 There is a small closet in the living room, and both bedrooms include closets as well. 6. Rustic cabin from Houseplans. With only 300 square feet (28 square meters) of space, it's a real surprise that this home from Houseplans manages to squeeze in two bedrooms. 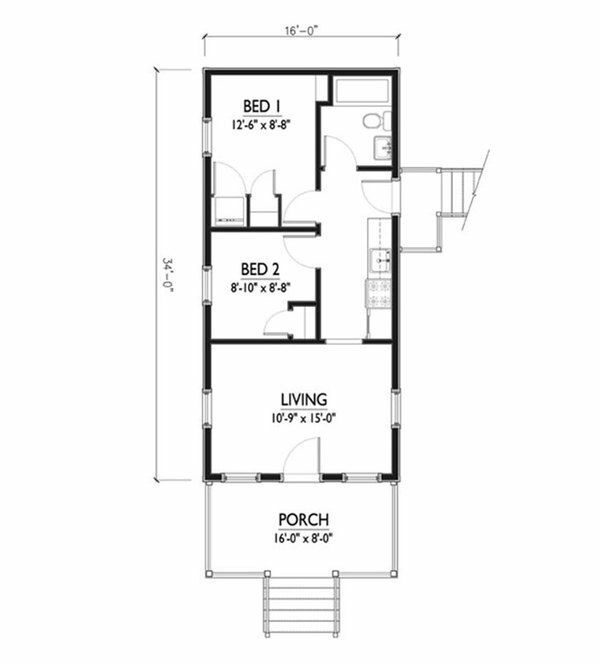 The front porch opens into an open concept living area with a kitchenette. One bedroom is found just off to the left of this room, and although the room is quite small, it still includes a closet. The other, a more spacious bedroom is located in the back left corner of the home, while the bathroom is found in the back right.